Smooth gliding roller shutter doors neatly store away in the upper section of the cupboard. Fully lockable to keep contents secure. Mid level hand grip allows easy operation. 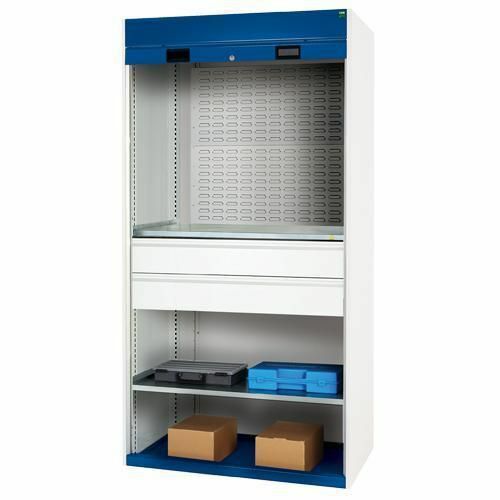 Bott heavy duty roller shutter cupboard for securing tools/parts in restrictive workspace areas.